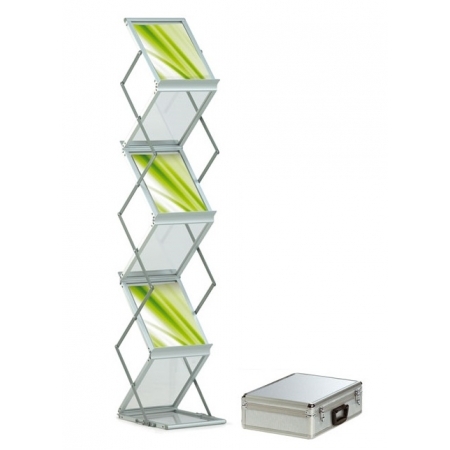 The Luxury A4 compact brochure stand is a collapsible A4 portrait literature holder. 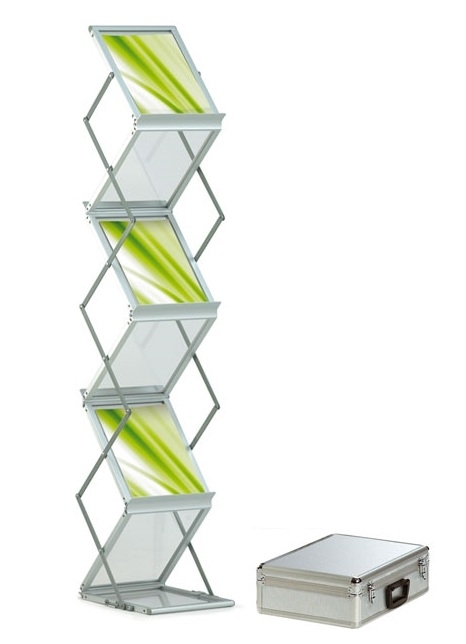 It has 6 x A4 portrait shelves ideal for brochure storage for displays and exhibtions. 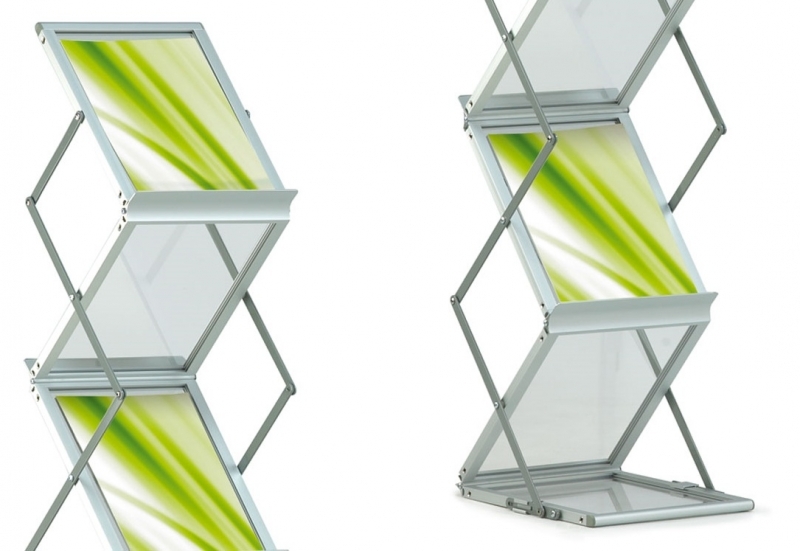 It has a steel and aluminium frame, with clear acrylic shelves. Not only that, it collapes down for storage, and is supplied in an aluminium case for portability. Its ideal for exhibitons and shows where space is an issue.